The 2016 World Environment Day weekend was a busy one for the staff at MAP Asia in Thailand with celebrations in Krabi, filming taking place at the EPIC ponds on Koh Klang and a clean-up at Ta-Sanook village, Phang Nga province. Friday the 3rd of June dawned rainy, yet this did not stop thousands of school children descending upon the Krabi Provincial Administrative Organization for World Environment Day celebrations. Teaming up with the Nai Nang village beekeepers, the Global Nature Fund (GNF) of Germany and with Corporate Social Responsibility (CSR) support from Daimler AG, the Asia Office staff readied the display and activities in the inclement weather. The Nai Nang beekeepers brought along a selection of honey and soap, which garnered interest from children and adults alike. The children proved keen to learn about the importance of mangrove ecosystems, recycling, and the dangers of plastic pollution. Their enthusiasm and interest in our stall was evident, and everyone had a wonderful time. We can definitely say that we surprised many of them with our games, particularly when they learned just how long it takes for rubbish to break down (up to 600 years for nylon fishing line and up to 1000 years for polystyrene, just in case you were wondering)! [Left] The MAP crew (staff, intern and Nai Nang Villagers) ready themselves for the incoming hordes of children. [Right] Listening attentively whilst Pick explains the breakdown of rubbish. After some recuperation time we headed across the river to Koh Klang to meet up with Ning and Bastian Hartig. Bastian was filming EPIC’s mangrove restoration sites for an upcoming piece on the television program ‘Global Ideas’ for German network Deutsche Welle (DW). Keep an eye out for the release of this news piece in June on the Global Ideas website! For those of us who are new to MAP, we spent much of the time trudging through the deep, sticky mud, familiarising ourselves with the array of mangroves, crabs, molluscs and mudskippers which can be found on the site. Bastian (in white) filming the preparation and planting of a few nipa palm seedlings on the EPIC project site. Saturday the 4th started early with a drive to Ta-Sanook village for a clean-up at the just constructed short nature trail walk through the mangroves. There was plenty to do, with high tides sweeping in rubbish and debris, and left over construction materials to collect. For those of us who were spending our first high-tide in a Thai mangrove forest, it came as something of a surprise just how quickly the water rose through the forest. Soon enough, we were cleaning in water reaching our knees. Teaming together, we managed to shift left over construction materials from the nature trail and dismantle an abandoned shed, repurposing as many of the materials as possible. Left over wood from the nature trail construction was collected for reuse. After a truly delicious lunch provided by the locals, the village and staff regrouped and headed back out into the mangroves. 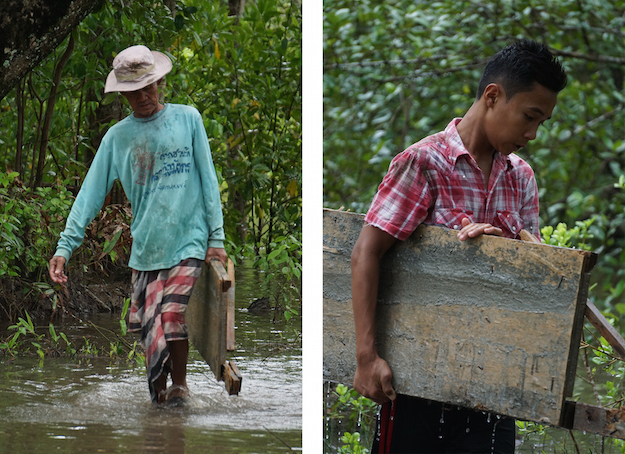 Men, women and children all pitched in to comb through the mangroves, collecting garbage and recyclable items. 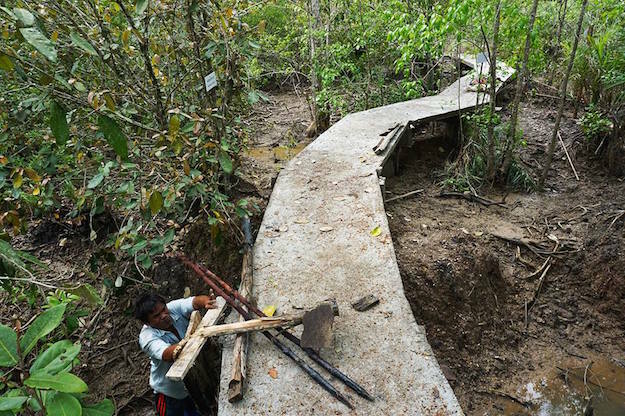 We can report that the construction of the nature trail is progressing well, the mangroves are looking clean and we can’t wait to return to see it when it is complete! 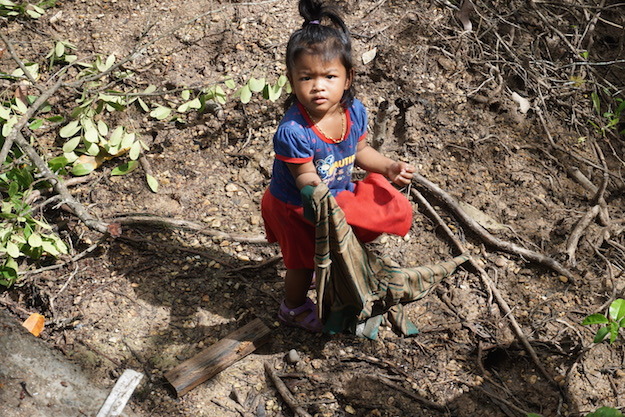 Even the smallest residents of Ta-Sanook involved themselves in the clean-up. You can follow GLOBAL IDEAS on their website. Or, alternatively, find them on YouTube here. Why Is Asian Seafood Farming A Cause For Concern! My name is Maria Savage. I'm the most recent intern for MAP in Thailand. It is my first day on the job and my first full day in Thailand. I am feeling worlds away from my Country and am very excited for whats to come. I am a Canadian citizen born and raised in Newfoundland, so I am no stranger to rain, wind and coastlines. I have a love for the ocean and am currently working towards a B. Tech in Marine Environmental. I will be volunteering for MAP until mid August. I am looking forward to gaining and sharing knowledge about amazing mangroves. 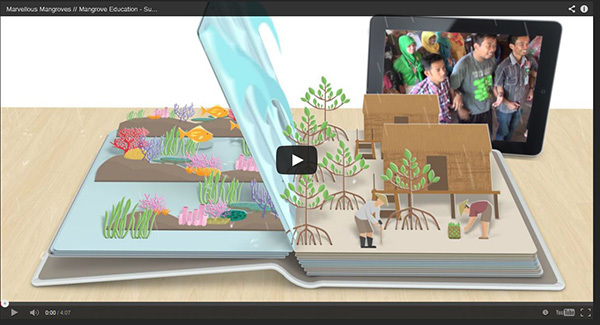 READY TO TAKE ACTION FOR MANGROVES AND MANGROVE COMMUNITIES AROUND THE WORLD? The U.S. Export-Import Bank is considering using US tax dollars to pay for two coal plants in Bangladesh. 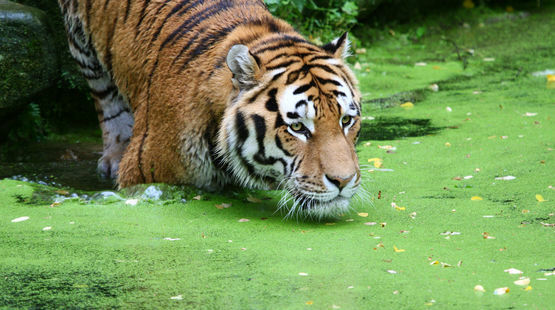 These projects would wreck the world’s largest mangrove forest and devastate the Bengal tigers that live there. We need your help to stop it! 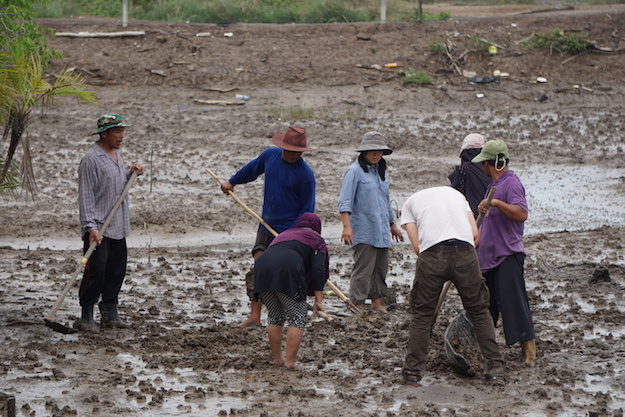 Editors Note: It appears that climate change and river dams on the Mekong are devastating the aquaculture industry and farming in the Mekong Delta region of Vietnam! The drought is most likely damaging the mangroves as well, especially worsened by the many dams built along the river for electrical energy production. This situation can only worsen with climate change. 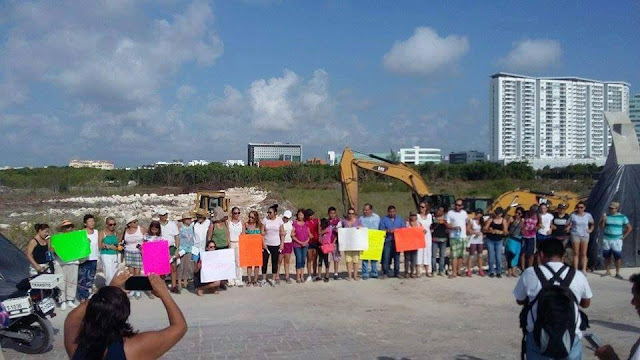 It seems like Biminites are raising their voices once again against Bimini Bay World Resort management and they also have the leader: Sherrick Ellis. Obviously the resort is denying residents’ access to a roadway further up in north-east plus there are complaints about dredging and impacts on the fishing. "Five trillion pieces of plastic are polluting our oceans." "Two-thirds of the world’s seabirds have eaten plastic"
"5.25 trillion tons of floating plastic"